MecSoft Corporation, the developer of industry leading CAD/CAM software solutions, has announced the availability of the following products: RhinoCAM 2018, the newest version of MecSoft’s integrated CAM solution for Rhinoceros 5.0; VisualCAD/CAM 2018, the latest version of their flagship standalone CNC programming software. 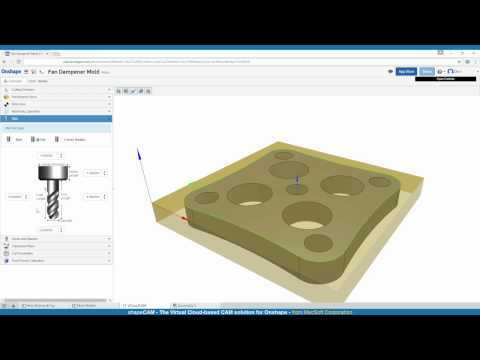 Xometry, the leading manufacturing on-demand platform, announced the latest update to its instant quoting Add-In for SOLIDWORKS, the Dassault Systems premier CAD software program. The Xometry Add-In for SOLIDWORKS enables users to get instant price, lead time, and manufacturability feedback while ordering custom parts, all within one integrated CAD workspace. The new version of the Add-In is faster and has enhanced integration with SOLIDWORKS to detect more part features and design specifications. MecSoft Corporation, the developer of industry leading CAD/CAM software solutions, has announced the availability of AlibreCAM 2017 MecSoft’s Computer Aided Manufacturing(CAM) plug-in that runs completely inside of Alibre Design 2017 software.